As that great philosopher Jimmy Buffett sings, “If we couldn’t laugh, we would all go insane.” I so agree. I often incorporate humor in my writing by depicting the absurdity of life. And in the South, you don’t have to look very far to find something—or someone—absurd. In the scene below, taken from a chapter of my novel-in-progress, Ms. Dee Ann, an unsophisticated woman named Bertha is being interviewed as a potential babysitter by the narrator Dee Ann, a young mother who is soon to start a part-time job. “I know my home ain’t nothing fancy,” Bertha said. “Me and Buddy don’t have much. We spend what Buddy makes on the young’uns. You know, when you have young’uns, you ain’t gonna have much else. Course I wouldn’t trade ’em for nothing.” Bertha paused a moment after this declaration of motherly love. Bertha searched my face, obviously wanting approval. “Yes, that’s a very catchy name,” I said. The two B’s did give it alliteration, I thought. I noticed something else. Bertha wasn’t giggling. She had smiled plenty and her wandering eye had rolled around some, but I hadn’t heard a single silly titter out of her yet. But Sensible Bertha suddenly vanished. 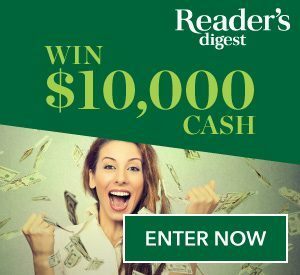 “You know, every year I enter that Reader’s Digest Sweepstakes, but I don’t never seem to win nothing. Do you think that contest is real?” Bertha leaned toward me as if I had the inside scoop. “Well, no wonder I don’t never hear nothing back from them folks. One out of ten million! Who knew? Boy howdy, it’s a good thing I done decided to keep babies instead of waitin’ for that ship to come in.” For the first time that day, Bertha giggled. Intriguing. I’ve never known a writer, i think.